With fingers trembling, I begin a journey on a new path. Having read some amazing book reviews over the last couple of months, I had been toying with the idea of writing one myself, but hesitated at the thought of being taken for a critic. Being a blogger, I just adore each and every word out of my mind, and no matter how much a self proclaimed feedback loving person I am, I would disappointedly question if some novice someone were to review and criticize my blog. But then, somewhere it has to begin, and before the thought of writing a book review itself translates into a blog post, let me begin the review. 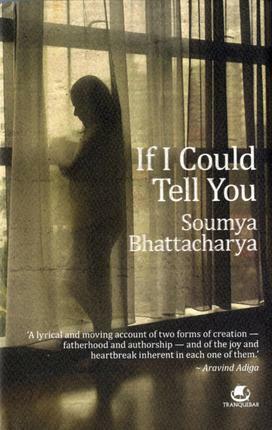 “If I could tell you”, by Soumya Bhattacharya – Mr. Hubby suggested this book one morning to a grumpy me when I was complaining of a mundane schedule, stress, no “me” time, etc etc. Knowing I had conveniently stayed away from fiction for a long time, he suggested this would be refreshment. Didn't know the book I took up to read for time pass would end up engrossing me for 3 days and some wee hours as well, right through my daily metro ride oblivious to the swarm of people in the metro, jostling against each other. Wanting to avoid bias, I avoided reading any reviews. They say, never judge a book by its cover. So true. What seemed like a series of lecture filled letters from a typical Indian father to his daughter actually is much more than just that – a father sharing candid insights about his life with his daughter, sans any effort to idolize or inculcate anything. Just an honest account of his life & its various shades – the triumphs, failures, dilemmas and running parallel throughout is a beautiful depiction of his feelings about his bundle of joy, the only accomplishment in his life that makes him swell with joy – fatherhood. Often, authors get swayed by the emotions and that’s when such books become boring. Not this one. Soumya, in a completely “Soumya” and subtle manner knows how to keep his readers hooked on. So, layered between the various crunchy memories are creamy fillings of how a father bonds with his daughter despite the odds in his life, how he feels about the transformation in his daughter, from a chirpie toddler to a shy yet responsible kid coping with the ever changing situations – a perfect cookie that just melts in the reader’s mouth! New parents would enjoy reading the initial half, and even if you are not, Soumya’s depiction of his earliest memories with his daughter would make you desire your little one too. When the narrator ensures you are glued to the book, he slowly introduces the story of his life – a life that begins with a zero and ends with….well, you better read for yourself. A life of struggles despite having everything, of stress despite a laid back life one would envy, feeling of emptiness despite a fulfilling life. Its takes guts to accept ones mistakes and failures in front of one’s child and he shows that grit. I loved when at one particular moment; he celebrates rejection of his manuscript by a publisher. Instead of sulking at rejection, he saw it as his entry into the literary world, whatever small interaction it gave him with the fraternity. Now that’s what we call optimism! However, the story gets sad in the second half. The narrator’s return to Mumbai, the city he began with, inability or rather I should say, laziness to manage and grow money, the constant hammering of failed ambitions, frustration at facing so much change and the twist in the tale that changes the fate of father daughter duo forever. Life if anything, is about picking up the broken pieces and moving on so that’s exactly what they do. No matter how many hurdles come their way, the father never ceases to care and comfort his daughter. But how long can one sustain with failures and grief staring in the mirror every morning? The protagonist is after all a human being. What happens next is what I leave on the readers to find out since I don’t wanna spoil the fun. 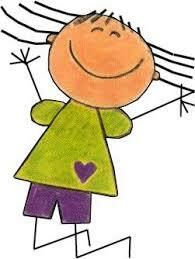 Well, I began the book with a smile and by evening when Mr, Hubby was home, I was all tears, reading the last page. The author’s account is so real, so detailed that you end up believing it’s his own story. It was only at the last page that I realized it was just a creation of his mind and no inspiration from anybody’s life. I met these lovely kids at Guptakashi, 47km before Kedarnath in April this year. On our way to Guptakashi from Ukhimath, Mr. Hubby spotted these cute kids asking for a lift & asked them to come on board. The brother sister duo were on their way back home from school. While most days they had to cover the 5km distance by foot, during tourist season, they hoped to get lift from the tourist vehicles. The brother, a shy kid kept looking down and smiling every time Mr. Hubby asked his name. The sister was much matured & answered our questions & even guided us about the places to see in Guptakashi. When they came on board, I was a little surprised since in Delhi, we are taught since childhood not to talk to strangers. And here these were, two little kids braving the hilly terrain, meeting everyone with an open mind. 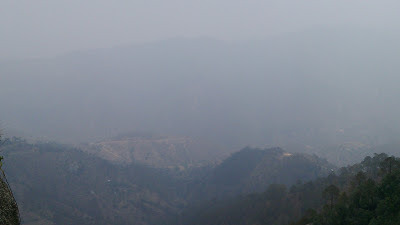 But such is the simplicity of the hills that you don’t get to see anywhere else. The blog on my April trip is still lying low in the priority list of blogs and I hope to put it up by this weekend. However, as I saw TV channels covering the cruel game of mother nature in Uttarakhand, I was immediately reminded of these kids. We didn’t ask their names, didn’t know where they stayed . But, as I read the horrific account of the Uttarkhand flood, my heart says a silent prayer for these kids – hope wherever they are, they are fine and healthy with their families, with the same smile on their faces and hopes in their hearts – hopes of a better tomorrow. Just like the traffic on the roads, for any girl born and brought up in Delhi, eve teasing is a usual affair. Since childhood, a girl is subjected to some said, some unsaid rules and regulations in exchange for her safety. I still remember how worried my mom was when I joined college just because I had to travel to a secluded part of the city all by myself. Always carry a mobile phone, never venture out alone, prefer going out with a male or in groups, wear non provocative clothes, avoid interaction with strangers in buses, come back home on time….the checklist was too long and irritating to be followed. But this was almost a decade ago and back then I used to wonder life wouldn't be the same in a couple of years. With women empowerment being a burning issue and India marching towards growth, I expected a better society for the generations to come. Times have changed and yet they haven’t! The easiest thing in the world is to crib, cry and escape the wrong. However, people who make their own path and stand up against the wrong are the real change agents. The so called “bad elements” spring up from our society, perhaps the guy next door. Cleaning begins from the house. To ring the bell against such elements, we need to go back to the basics and teach every boy around us to respect the mothers, sisters and not take their care for granted. Only then will the society learn that it’s not the attire but the attitude that counts –attitude of the men around us. The bell should ring away the fears till the women in our society can live in peace. They say birds of a feather flock together. And thanks to Indiblogger, we, the free spirited birds of blogosphere get to flock together quite often at the much awaited Indiblogger meets. I had been eyeing a blogger meet for quite some time now, having missed the HP Connected music meet. And so when a little birdie dropped a mail in my inbox about the HP Print Art IndiBlogger Meet, my reaction was something like this. My 1st meet and the meet encouraged us to bring family members along! Wow, sounded like a dream come true! So last Saturday, papa, bhai & I reached Fortune Park, Gurgaon for the meet. Not wanting to get late for the 1st meet, we ended up reaching half an hour early! Papa suggested we wait in the lobby since Mr. Sun was at his sunny best that day. And there in the lobby, I saw many bloggers waiting with their families. I didn’t know anyone of them, but just like you feel so happy to spot Indians when you go abroad, I was all smiles to spot people who shared the same passion as I did. Finally, Rene asked us all to come in. A quick registration and we made ourselves comfortable. Now I was in a dilemma. I could see all bloggers around me and I was super excited to meet them all. But we all had come with families and it was tough to make out who was the blogger and who the family member! So I decided to play it safe and stick to my table. But seems Indiblogger knew how to get people talking. The meet began by Rene asking who were the first timers, and soon after groups were assigned tables they had to go to and interact with the bloggers there. The bubbly bunch of galz next to me came to our table and introduced themselves, and the shy me got to know my first set of blogger friends. We soon joined the big table and my apprehensions were soon lost in the peals of laughter! 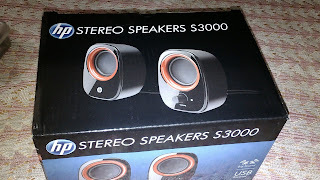 I had read in various blogs that at Indiblogger meets, if you are lucky, you win cool stuff just for being there. And I witnessed this at my first meet. Prizes for being the youngest blogger, for picking numbers, for the best tweet, for the blogger who came with his brother! Wow! Indiblogger and HP were being generous! And then began the 30 seconds of fame. Being my first meet, I wasn’t prepared for any introduction. So, for me, this was like the times in school when the teacher popped questions randomly and the shy students prayed not being picked up. 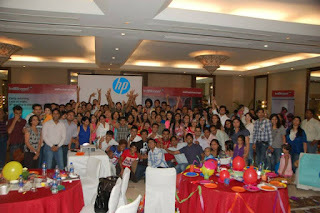 But I soon realized that everything in a blogger meet is about fun and knowing bloggers better. So, when a blogger sitting behind me claimed to being a crazy blogger, the Indiblogger team got a bit creative and thus began a small contest of being the craziest blogger in the meet. Few bloggers stood up and justified their craziness, with one blogger confessing that he is such a crazy blogger that he has forgotten many of his blog links. All my inhibitions gone in a minute, I too decided to give it a try and explained my craziness-how my blogging drives most of my decisions, right from holiday destinations to evening hang outs. 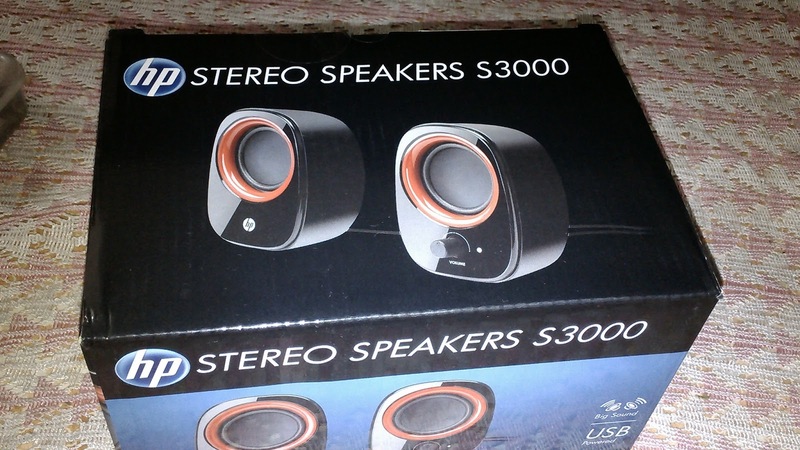 For me, it was an honest confession but never knew it would win me cool HP speakers. Wow! I was on cloud 9! But the party had just begun! And how can a party be complete without music, so here we were singing our own versions of Old Mac Donald, the old and young enjoying the chorus! Soon, we had the gentleman from HP who introduced us to a new generation of printers that would transform the whole printing experience at home! And that too in a cost effective way! A Q&A session followed soon after. 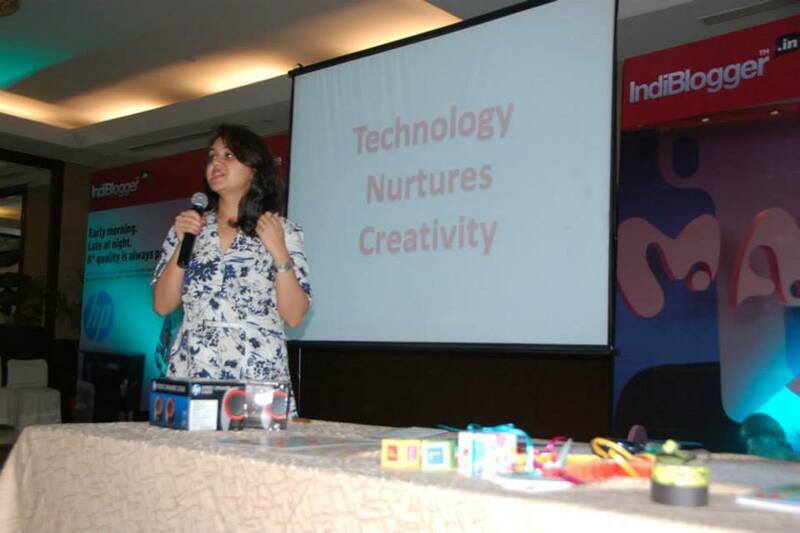 I was appreciating their tagline “technology nurtures creativity”, when Karuna from lulupu.com came on the stage and actually proved it. As she showed us how the new HP InkAdvantage printer could make the school projects a fun and easy to do affair, papa and I remembered how we had to run from piller to post just to get the right picture for my school projects. Thanks to HP, life would be much easier for my kids! 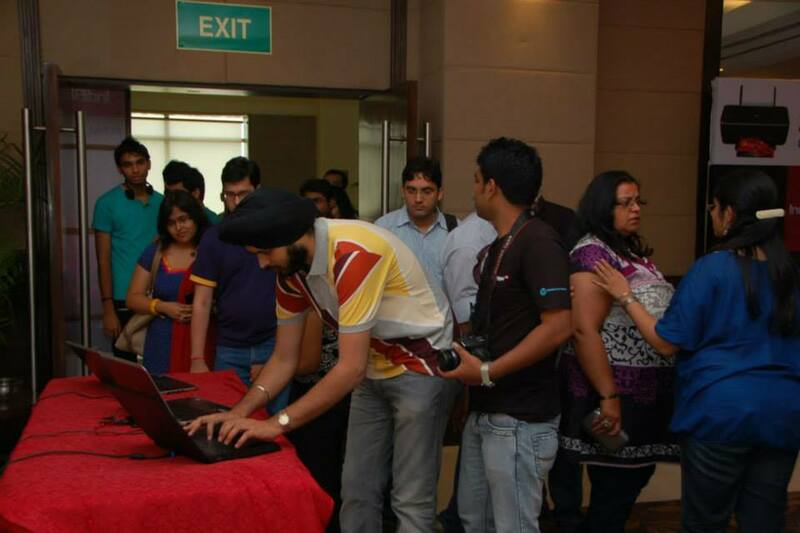 Seems Indi team had decided to keep the event totally action packed. 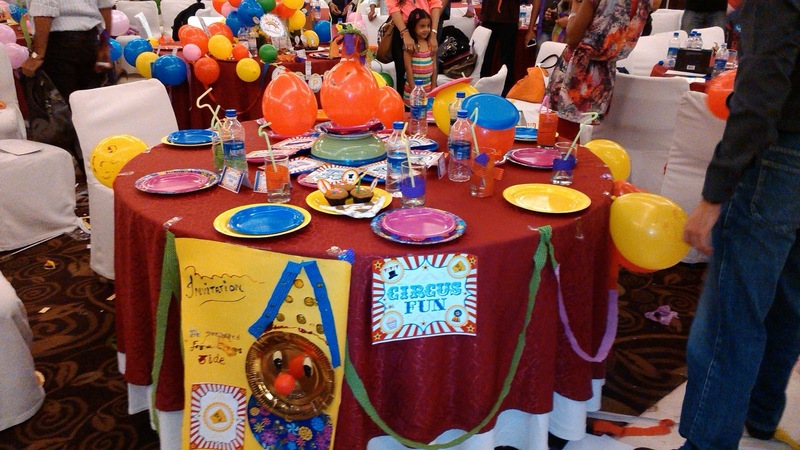 So after Karuna was done with her demonstration, the team divided the crowd in groups of 15 and each group was asked to decorate a table using material provided. But there was a catch, every team was given a theme for the party along with a deadline and some instructions. People completely unknown to each other were working as a team to get the task right! Now this was magic that only Indiblogger could have managed and they did it very well! 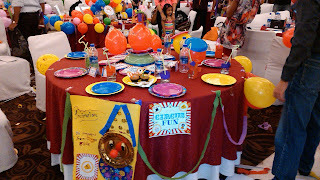 I was amazed to see the creative crafty side of the bloggers present in the room. From pirates to mermaids to circus jokers, we had it all in one room! Our team was hoping to win for the most messy team (we even had a funny name to our team ”Zebra ka Debra”), but were spared the torture! The winning team was all smiles and the guy who got the best won himself a printer! Wow, this was cool! The team also announced a contest where the best blog about the meet could win a HP printer! Wow! 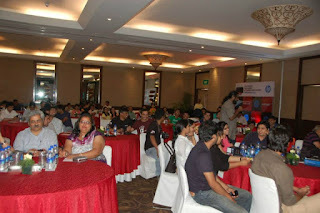 In 2 hours, the crowd in the room had been transformed to a big family, and when it was time for the group pic, bloggers from different walks of life joined hands and echoed “say cheese”, a truly Indiblogger moment! We soon collected our tees and my brother declared “Now that I have an Indiblogger tee, I too will become a blogger.” And he looked totally inspired! 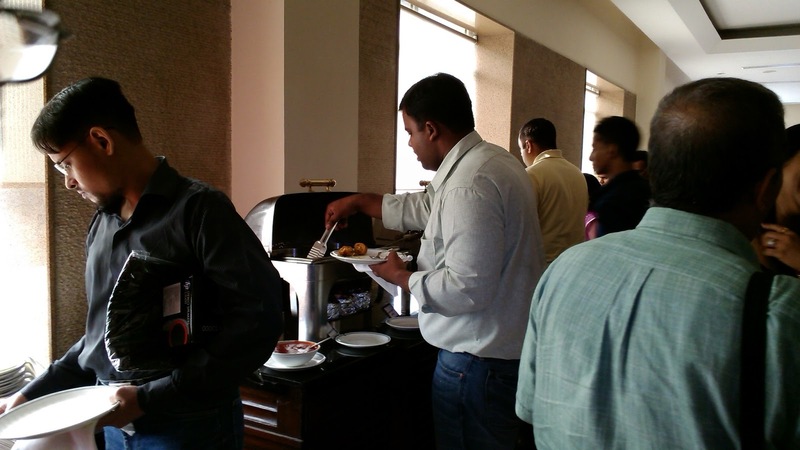 No party is complete without food, and Indiblogger had ensured there was lot of lip smacking food for the bloggers. Tired after so much of hard work, the bloggers dived for the goodies! I have a sweet tooth and seems the trifle was there just for me, so I indulged myself without inhibitions. It was time to say goodbye. As we exchanged blog links and numbers, I was wondering that I had walked in with just 2 family members but walked out with so many of them! A family that shared the same passion as I did and a family that embraced first timers with open arms! As I confessed it was one of the best times I had in the recent past, a blogger friend told me, “now that you’re here, never miss the meets, the fun has just begun!”. And yes, she is so right, the fun has just begun! 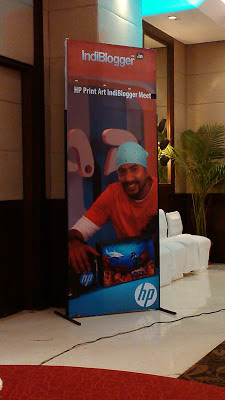 Thanks HP & Indiblogger for making my first meet such a memorable experience! Already looking forward to the next meet! Life is beautiful when you are staying with a mom in law who has decades of culinary wisdom. Ma loves to cook and perhaps more than that, to serve with love. That’s what all Indian mothers are made of. Mr. Hubby and I, being typical brats leave no stone unturned to exploit her talent whenever we have friends over. Ma too swells with pride at the shower of praises and looks forward to such occasions. Mr. Hubby’s firang boss Harvey had landed up from the US for the first time, and he was super excited to be in the land of culinary wonders. He had expressed his desire to experience the best of Indian culture in his two week business trip and everyone was at his planning best, since to impress a firang boss meant a ticket to the US! Thankfully, the opportunity for Mr. Hubby came walking on its own. Harvey had once dived into the awesome aloo paranthas ma had packed for Mr. Hubby’s breakfast and had since declared that he would spend his last evening in India at our home, with authentic Indian home cooked food. Everything was set-the menu, clothes, décor. The miniatures were shining on their place, the silver cutlery buffed, mirrored cushions on the sofa and my favorite earthen pot with floating diyas in the living room. Wow! I was super excited. The D day was unexpectedly hectic for me, but knowing ma would manage the spread, I was busy finishing work so that I could reach well in time to slip into my leheriya sari and traditional silver jewellery. But bombshells drop when you least expect them. I was in the middle of that crucial mail when Mr. Hubby called and told me mom in law had to leave as her sister had suddenly taken ill. “I can’t cancel the dinner now, please manage, I know you can”, and he hung up. For a moment, I went blank. I had barely time to finish my mail, reach home and give some last minute touches to the décor, how was I supposed to manage the entire menu in such a short time? I left office in a jiffy and drove straight to the new grocery store in the market. Nervous and hassled, I was praying for a miracle to save us the embarrassment. And suddenly, I spotted the kitchens of India shelf in the store. 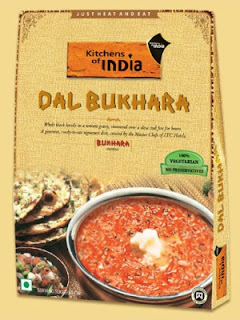 Ready to eat, absolutely authentic (I could see my favorite Dal Bukhara) and ITC brand that I could trust, seems God had heard my prayers. I quickly grabbed the necessities and dashed for home and even texted Mr. Hubby to relax as situation was under control. 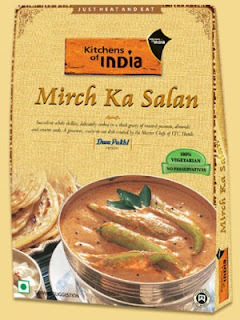 What could have turned into a disaster eventually turned into a golden opportunity for us, thanks to Kitchens of India. Harvey was disappointed at being unable to meet my mom in law, but soon forgot the disappointment as soon as he began savoring the delicacies. 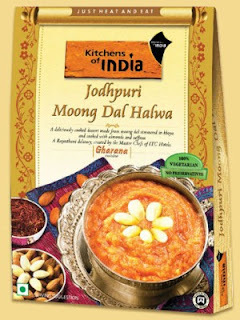 An authentic Indian spread – Dal Bukhara, Paneer Darbari, Mirch Ka Salan, mint raita, lachcha paranthas, rice along with the perfect Jodhpuri Moong Dal Halwa left Harvey asking for more. Dim lights and soft santoor music playing in the background were adding to the experience. The smoothness of Dal Bukhara, richness of Paneer Durbari, the perfect Mirch ka Salan followed by the royal moong Dal halwa which made for a perfect ending. Harvey appeared as content as a pampered Nawab of Awadh! Kitchens of India not only saved but made our day. An impressed boss, Harvey was all praises for Mr. Hubby’s perfect Indian wife while I knew who to thank… Kitchens of India – perfect choice of wise wives in India! This post is written as part of the contest “My weekend party with Gourmet Food” by Kitchens of India, in association with Indiblogger. Some gyaan from a sick blogger! As if the weekend blogger meet and lot of weekend home errands weren’t enough to keep me busy, my body decided to do something “in season”. So last evening, I got a heat stroke. 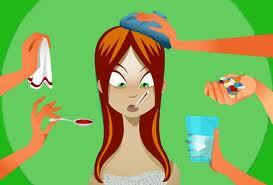 Often, I wish to get ill so that I get to take an off. But when it finally happened, I realized one must be careful about one’s wishes. More than myself, its Mr. Hubby who bears the brunt of my illness. In his words, whenever I get high fever, I make sounds like a little puppy in my sleep (now I seriously doubt that!). But I sure keep him busy with frequent temperature checks. Last night, as my fever crossed 101, I imagined mom by my side. As a kid I used to keep my head in her lap and ask her to gently caress my forehead, and the touch of her magical fingers used to make me feel so relaxed. Alas, like a non renewable energy source, mom’s love is gone forever with her, and I am my own mom now. I guess life throws it back to us. We take our moms for granted and make full use of their pampering and care. And then one day, destiny says “role reversal”, and “thud” comes the baggage of responsibilities on our head. No time to stop or relax. I don’t remember when did I ever see mom rest in a fever. And me too, like totally shameless kids did nothing to help/comfort her, perhaps too spoiled by her care. So now life has put me in the same place as my mom. No time to sit or relax or crib and cry. Life is like an unstoppable conveyer belt. It has to go on and be serviced constantly, no matter who does it and how. Its only when sudden incidents happen that shake us (like illness, loss of a dear one, material loss), that we realize life is beyond the mad rush. And so on the positive side, I was foolishly happy for the fever, for it reaffirmed to me that our health is the most important asset, a job is just “a” job, and our “me time” song needs constant rehearsals in order to be perfected. Things we love to do deserve same time and dedication as the people we love so I spent the afternoon sunk in my bed with my laptop, reading some amazing posts of my new found blogger friends at the blogger meet. Laughed at some while some got me thinking, and some even inspired me! Wow, now that’s a day well spent and it did indeed lift up my spirits. Just like in Bhagwat Gita, Lord Krishna says he takes birth whenever sin on earth crosses its limit, similarly the body takes to illness whenever it gets exhausted by the non stop operations. “Prevention is better than cure”, Diya had heard from her mother since childhood. Life revolved around her mom’s discipline – mom was very particular about grooming and cleanliness & the lazy Diya used to try all her tricks to get away from mom’s morning inspection – teeth, hair, skin, nails, everything had to be clean. “Uff, what a prison I have been confined to”, she often wondered. Gone were the days of parental care and protection. Life in college was her ticket to freedom. Life in hostel was about late night parties, lots of junk food, midnight snacking, that “lift my mood” midnight chocolate shake etc. Mom’s golden advice and discipline soon found its way into the dustbin. Burning the midnight oil partying & waking up just in time for the lecture became business as usual. Just like the “brush it up, groom it up” rules of her hospitality industry, last minute face wash, just the right dab of makeup & lots of mint worked for her. “Who needs to brush everyday when mints do the job? Now not even mom is around”, Diya often joked with her room mate. Two years passed amidst all this fun & laziness. Mom’s checklist was now confined to periodic checks on phone. Thankfully for Diya, her mom hadn’t yet become tech savvy, so the conversation was on phone without any video calling. Whenever mom asked Diya if she was taking good care of her teeth, skin, etc., Diya gave the perfect answers in the perfect tone, and mom soon began to believe her daughter had grown up into a responsible young lady. The body though did give Diya warning signs, hoping she would pay some heed and stop running on the highway to hell. Diya had begun to see the occasional blood in the washbasin while brushing her teeth. Her gums had become perennially swollen. A chilled ice cream had become a painful affair. But Diya was in no mood to read the signboards. She was running fast on the highway to hell. The blood in the washbasin was ignored in a hurry, the cold unbearable foods were replaced by the comfortable hot cocoa. The gums often felt retracted from the teeth, but Diya ignored every sign. The signs were getting stronger. 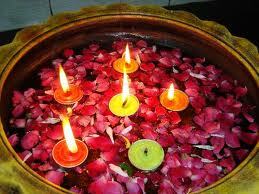 Already dumped by her boyfriend due to her bad breath, Diya had begun to feel a sort of inferiority complex. She feared confessing it out to her mom, and a visit to the dentist meant flushing out her monthly budget in one go! Campus interviews were just about to begin, and Diya was banking on the five star deluxe hotel chain she had always aspired to work with. If she got through, it would have been a dream come true for her. The bad breath did bother her, but thinking that the interview panel wouldn't obviously come enough to know about her bad breath from a distance, she was relaxed. It was the D-Day. All the students were getting that perfect look to get hired. Diya had the perfect look, the perfect makeup, the perfect scores & the right personality. Excited for the interview, she got up early and went to the bathroom to brush her teeth. As she began brushing her teeth, she felt a strong pain. Being used to pain in the gums and also, being in a somewhat sleepy mode, she continued the strokes with her hard brush. However, the blood in the spit was more than the daily dots. It was as if someone had injured a part of her mouth. In pain & in shock, Diya looked at the mirror & saw the worst – her front incisor tooth was gone! Diya had ignored the signboards & the fatal dental accident had now happened. With an hour to go for the interview, she couldn’t do anything to cover up the lost tooth. No matter how good one’s scores were, hospitality was a lot about good looks & nobody would have preferred hiring a front office executive with her front tooth missing. Diya was rejected after the first round. Her dream of 3 years was broken in one go. Unable to bear the embarrassment, she escaped into the washroom. From her teary eyes, she looked into the mirror - her perfect face spoiled by the loss of just one tooth. “I wish I had seen the signs”, she said. 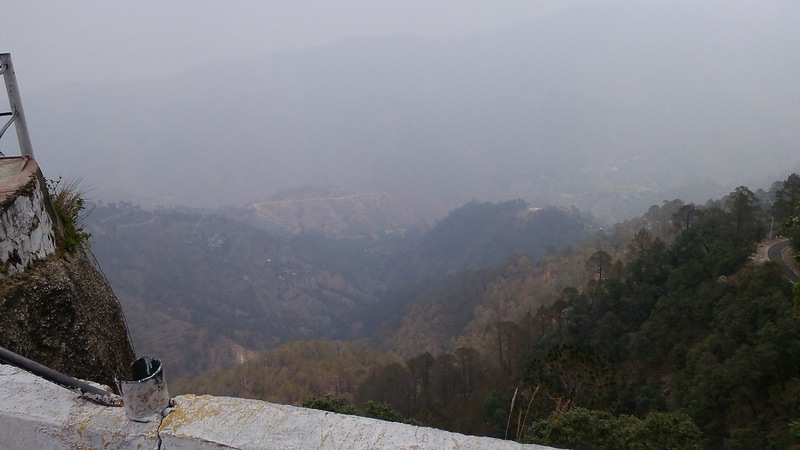 With nothing left to explore in Lansdowne, we had planned to leave early to avoid the rush on the highway. We had also fed Mr. Hungry (a doggie who came to take his share whenever he caught us munching on something) one last time. With half an hour to go for the restaurant’s breakfast window, I thought why not collect some souvenirs for my nephew and niece back home. 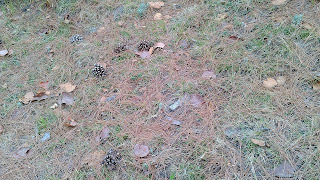 The beautiful pine trees around me almost immediately enticed me to collect some full grown pine cones – I used to have one as a showpiece in my room long time back. 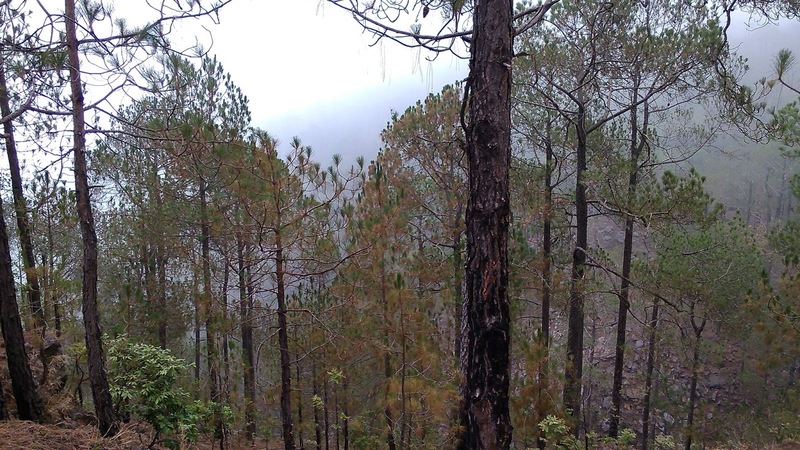 The hill in adjacent our resort seemed an easy climb & we didn’t even bother to slip into our sports shoes. But a couple of steps and we were going all rolly polly thanks to the numerous brown slippery shrubs that had blanketed the hill. It wasn’t just us, I also saw a huge cow slip several times in her quest to look for green pastures uphill. Finally, I found a way – walking on the green grass wasn’t making me fall & we somehow managed to reach the top. 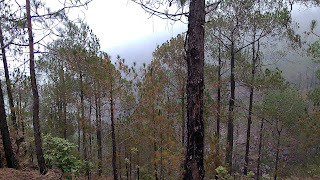 A gush of air, the mist, the sound of wind amongst pine trees & clouds embracing us – the climb was worth the effort. 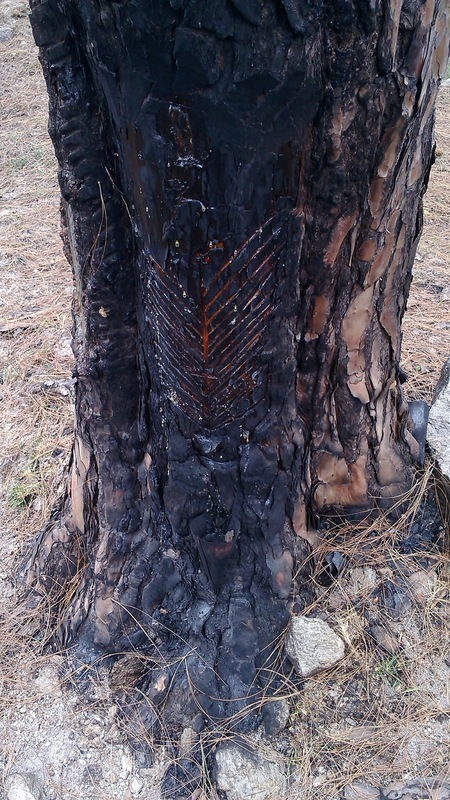 Also spotted sap from Pine tree being collected for medicines. 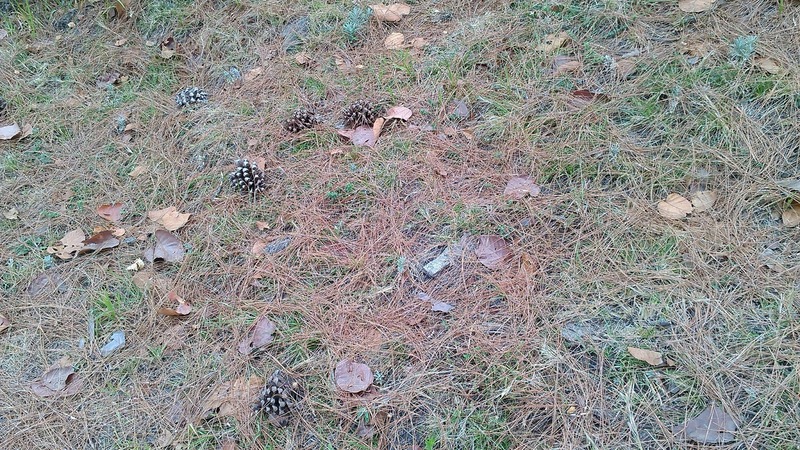 Like a greedy thief, I stuffed many cones under my pockets & carried several in my hands. Mr. Hubby was feeling kinda embarrassed on our way back as other guests on the resort were giving us curious looks – that was making him conscious. By now I had become sick of the usual menu so I suggested we have something good outside on our way back. We took the bad route to town one last time & crossed the Shatabdi dwaar, leaving Lansdowne behind. The nearest big town near Lansdowne was Kotdwar & I was hopeful we would get something nice to gorge on there. But by the time we reached there, the shops were beginning to open, so we left Kotdwar disappointed. Bijnor came & went & I couldn’t spot a single good Dhaba on the highway. 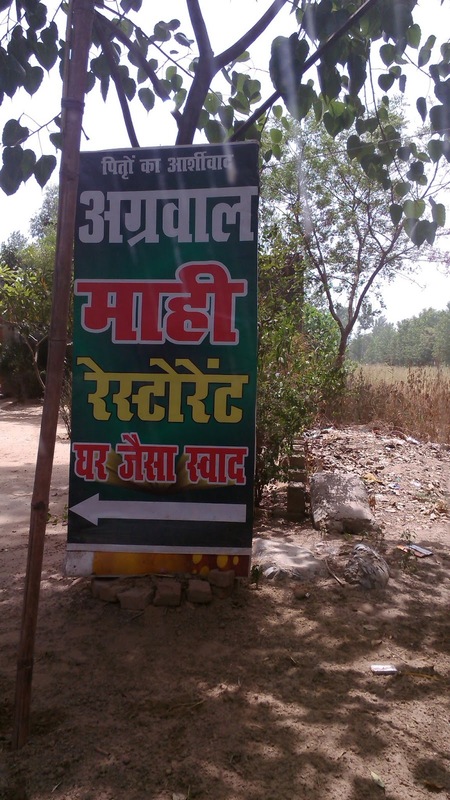 Finally on the lonely road in Najibabad, Mr. Hubby spotted a lonely dhaba – Agarwal DHaba. By now we had been driving 4 hours non stop & were so hungry that we could eat anything. They say good things often come when you least expect them. The Dhaba offered us one the best food I ever had on a roadside eatery. We went for the quickest option – aloo & onion paranthas. And the guy got lip smacking paranthas in minutes without compromising on the quality. Crispy paranthas stuffed with potatoes & onion stuffing, flavoured with generous quantity of cumin & green chillies. They served paranthas with chholey, something I had never seen anywhere else. If you ever take the Najibabad route for Lansdowne or even Haridwar, paranthas at Agarwal DHaba are a must. The cashier was so cute that when Mr. Hubby complimented him for the good food, his reply was just a blank look! Donno if he was surprised or too used to it! Well, this trip was a lot about funny things, and adding to the list were these beautiful water tanks at a shop in Najibabad. I quickly satiated my camera lenses with some clicks. Mr. Hubby told this is a common fashion in Punjab & now Najibabad too was catching up! 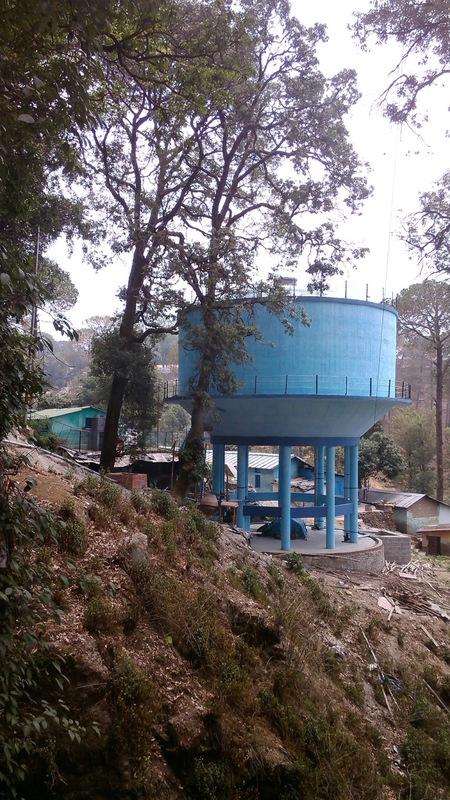 Game for such water tanks? I missed the old Cheetal grand which has been totally eclipsed due to the new road constructed. The owners have opened a new, smaller outlet on the highway, but even though it is flooded with passersby, I found it a total disappointment in terms of food quality, service time and pricing. So this time, we decided to give it a miss. 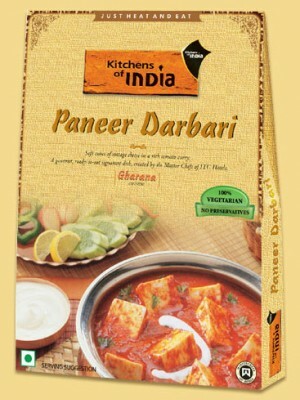 Rather we drove non stop to Delhi – the flavour of the paranthas still afresh on our taste buds! Whether I wanna go back to Lansdowne ever again, I don’t know. 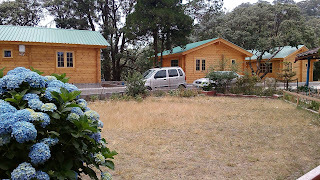 Perhaps if I manage to get a booking in the GMVN tree house, I won’t mind visiting again, for the misty weather, pine trees, flowers & the beautiful old houses call me to relax the old style! 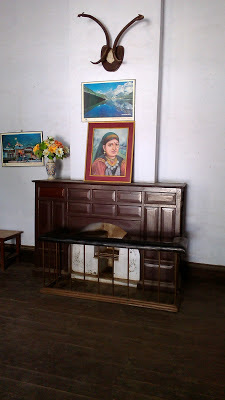 I had laughed on seeing the rajai in the rooms however; it did get cold by night. 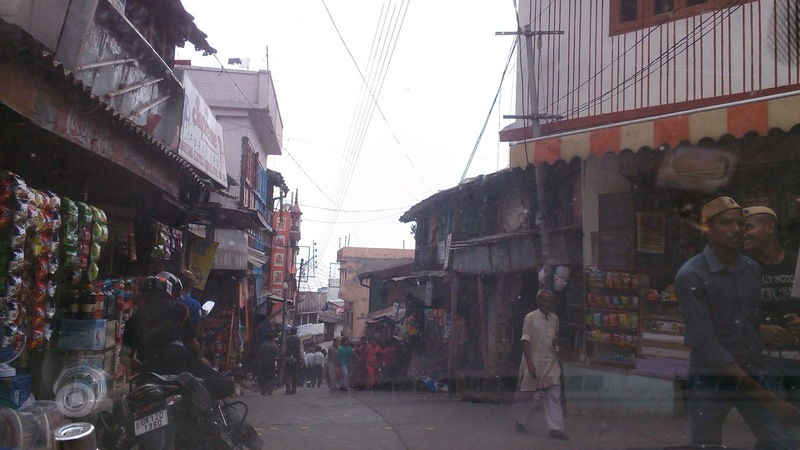 The mornings in Lansdowne are a delight – very different from the other places we’ve been to. Having my morning chai below a Pine tree amidst many other trees, the silence (the kids in the nearby cottages had thankfully not woken up yet) interrupted by mating calls of the insects sounded so refreshing to our ears used to the usual traffic noise of Delhi. The resort although beautiful had its own set of limitations however, I was still happy, for it was the only place we managed to get a reservation in the busy season. 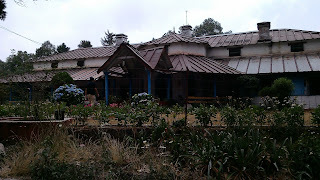 For all of you who are planning a trip to Lansdowne, I will be shortly posting a separate review for Jungle Resort here. The resort kitchen reminded me of my college mess – they only served meals during the specified windows. So, at 6:45am, when Mr. Hubby asked the steward for tea, he flatly said no chance before 7am. Similarly, no breakfast before 8! By 8, the kids had already woken up & were straight into the pool. The troubled infant in the adjacent cottage had also woken up by their shrills & was trying his best to contribute to the noise pollution. We somehow managed the breakfast & rushed to the town. I had searched for top 9 destinations on my TripAdvisor App & Bhim Pakoda was one of them. 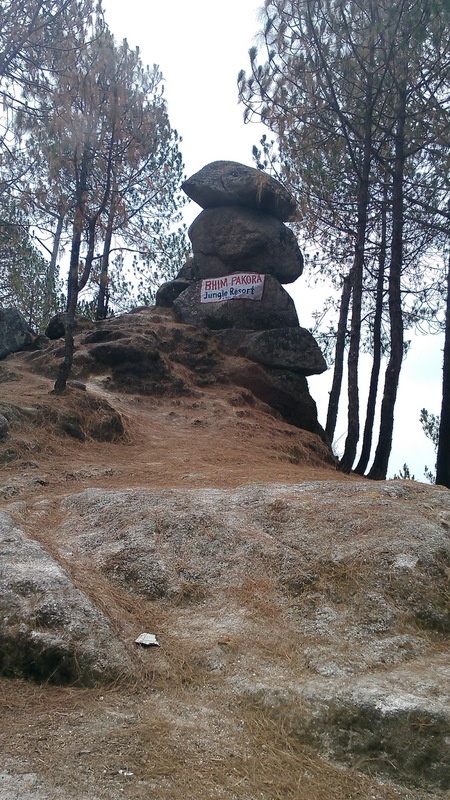 On the torturous route back to town, I saw a small rock with 2 stones kept on each other. That was Bhim Pakoda! 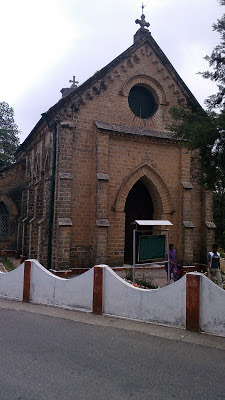 I couldn’t believe myself why someone would keep it as one of the places to visit in Lansdowne. Seems it’s a tourist spot created by the Jungle resort people as nobody would otherwise dare to tread on that horrible route. Just before entering the market, near the cantonment school, I spotted a very cute water tank. You might laugh at me for clicking such a small & stupid thing, but you see in Delhi, all overhead water tanks are boring white/cream in color and are too high. This was the shortest one I had ever seen. The market didnt have anything spectacular to offer. If you have been to Kasauli, you woudn't find anything super attractive here. 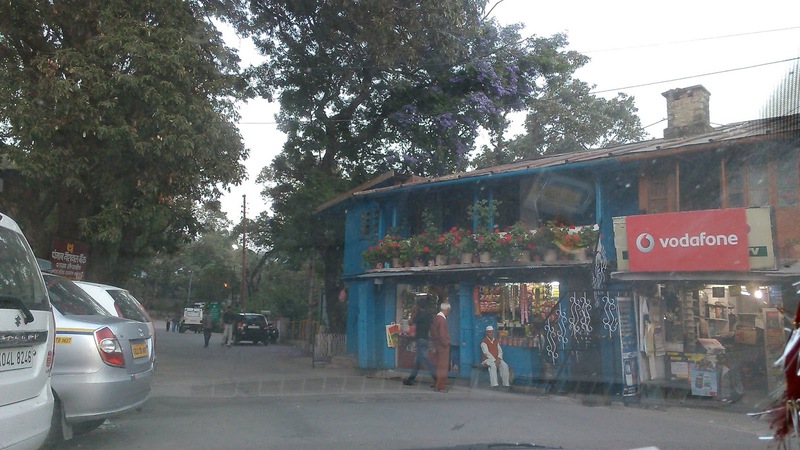 Kasauli mall road atleast had some beautiful chai shops, but Lansdowne market was a normal market. A couple of old hotel buildings though did catch my attention, just like the flowers in shades of red, blue & white – a treat for the eyes. Also grabbed some fresh Litchis from Ramnagar. 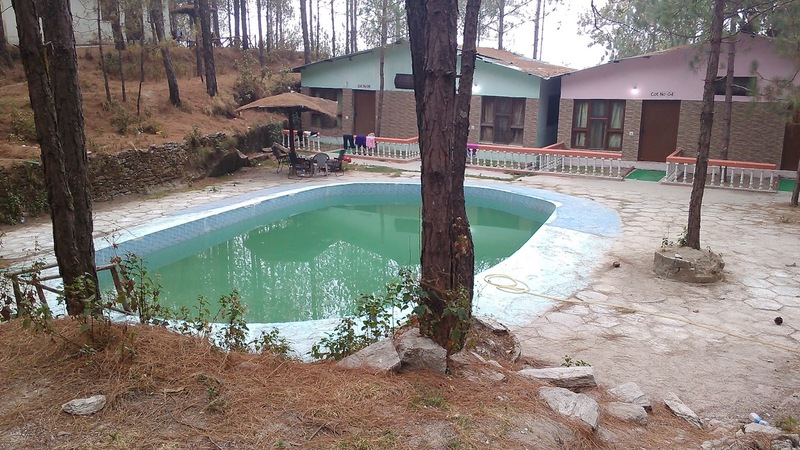 Next on our itenary was Bhulla Lake. A man made lake, managed by the Cantonment Board, Bhulla lake is a well maintained tourist spot - Clean water with a small bridge connecting the 2 shores, chilly breeze, beautiful blooms, rabbits, the quack quack of ducks & yes, not to miss the numerous coochy cooing Love Birds. 40 bucks per head for boating was rather cheap for Delhi standards so Mr. Hubby & I put on the mandatory life boats & grabbed the next boat. Unlike Delhi where you pay for just one round of boating, this place offered unlimited boating & like a kid, I challenged Mr. Hubby to boat till the time the boating guy summoned us. At last, we were tired. Mr. Hubby tried to take things in his control & jumped to the shore to tie the string. But, just as he jumped, the boat rebounded. With one foot on the shore & the other on the boat, this one was tough. Loud “chhapaakkk” & Mr. Hubby fell down in water near the shore (thankfully shallow). While onlookers & lifeguards panicked & came running, we both were laughing uncontrollably at our little stupid adventure. Thanks to Mr. Hubby’s daredevilry, we had become the center of attraction with his dripping clothes & me laughing non stop! 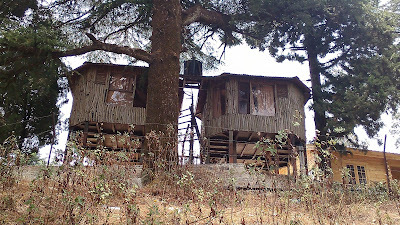 A friend had recommended us to book the tree houses in the GMVN property however, being tourist season, we had missed the bus. 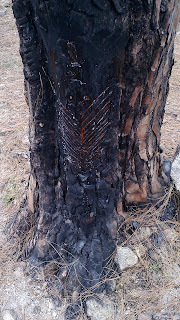 Nevertheless, the idea of exploring the property sounded attractive & we headed for Tip Top Point. On the way, I spotted 2 beautiful churches – St. John’s Church & St. Mary’s Church. Unfortunately, they were closed then else I would’ve got some spectacular clicks. 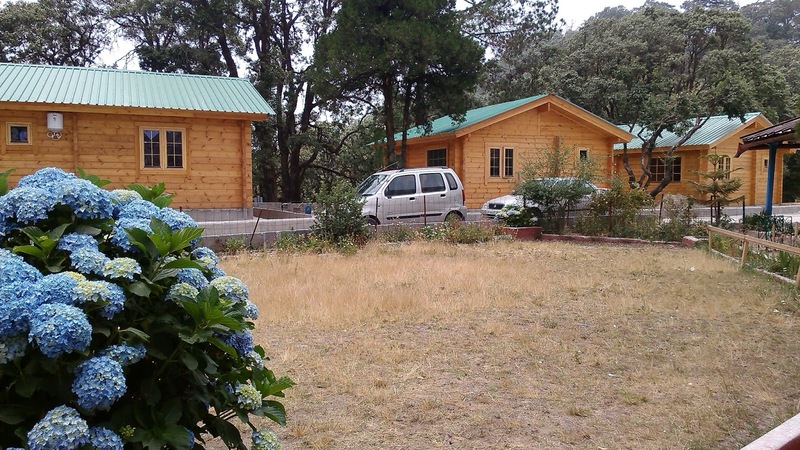 Every hillstation claims of spots that give you a view of some well known mountain ranges or peaks. Well, call it destiny or some ego issue with clouds, our luck with such spots isn’t that great. Tip Top point claimed to give a breath taking view of snow capped mountains & Tibet but frankly speaking, this is all I saw! But our trip didn’t go waste. GMVN has one of its best properties in Lansdowne. Old building for those who adore vintage, wooden huts for the stylish, tree houses for the adventurous – the place is just perfect. But one has to book in advance as the place is the 1st to be fully booked in season. Didi had praised the Garhwal Rifles mess. But, that was a no civilian zone, so we just roamed around the cantt area, which boasts of old houses with very English architecture, frequent signboards about the valour of Garhwal Rifles, & beautiful flowers on the way. By now it had become really hot & we had no place in the town in our must visit list so after a quick meal in the market, we rushed to the comfort of our jungle resort, taking the same uncomfortable way. I was still trying to grab time to blog about our last trip when Mr. hubby announced he wanted another one. A recent family wedding & some other pending issues had me totally exhausted so when he proposed Lansdowne, it seemed like a welcome relief! Didi had gone to Lansdowne a couple of years ago & had been in awe of the old British architecture, especially the Garhwal rifles mess. Lansdowne therefore, had been pending for quite some time. With our bags packed in a jiffy, we left the hot and humid Delhi in the morning. I was excited to catch up on the McDonald’s breakfast menu on the Drive in near Khatauli. Mr. hubby had asked me to look for the route to Bijnor from Khatauli however, a miss and we ended up taking the bylane adjacent to new Cheetal Grand restaurant. It was finally the server at the Mc Donald’s drive in who guided us about the right route (I had been looking for Bijnor on the signboards whereas we were to reach Jansad first & then take the highway to Bijnor). I was expecting Bijnor to be just another small town but the pleasant drive there was a treat for my greenery hungry eyes. A well irrigated place, with a huge “Madhya Ganga canal” strategically routed through the fields, Bijnor is a place with quite roads and lots of greenery around. The sight near the canal barrage was simply awesome & if the place had the option of camping, we wouldn’t have mind a detour. Few minutes after we crossed Najibabad, I was delighted to see a huge (and I mean pretty huge) sugar mill. I could see the huge conveyor belt & some machines & was told the place was Mawana (from where my daily chai gets the Mawana sugar!). Whenever we visit the hills (which is almost all our trips), I behave like an elated child on spotting the first set of hills after the plains. My reaction on seeing the mountains on the horizon en route Kotdwar was no different. Lansdowne was a few kilometers now! My excitement soon turned into concern as the actual route after we took the route to Lansdowne. Britishers are known for their superior architecture & planning however, this time around, they had missed on the basic infrastructure. The roads are very narrow & Mr. Hubby, who had been driving non stop from Delhi now seemed tired. We have been on the worst of hilly routes but this route was one of its kind. Narrow roads, steep, blind turns at every few metres (I would recommend taking a driver unless of course you don’t mind the frequent clutch & break like my Mr. Hubby). I was waiting to get away from the heat. 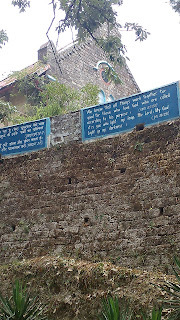 A signboard read “the first view of Lansdowne”. “But it is still hot!” I cribbed. “we have to go atleast 300-350 km away from Delhi in the hills to beat the heat, so chill baby”, Mr. Hubby at his consoling best again! Lansdowne welcomed us with a Cant board toll, lot of old time fauji buildings & the best of all – numerous pine trees. 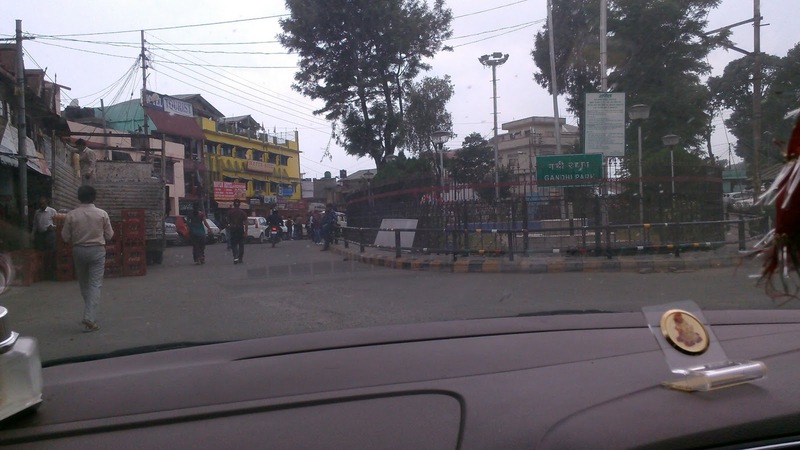 We reached the main market – Gandhi Chowk. All the resorts we had tried to book came on our way, except the one we had actually booked – Jungle resort. I was getting cranky now with my empty stomach, heat & a strong nature’s call. The locals in sadar bazaar showed us a blue overhead tank & asked us to take the “bad route” from there. The bad road had already irritated us & when I saw the “real” secluded bad route, I prayed God for both of us & our Skoda Rapid. Till about a few metres enroute Dhuri, we could see one or two jawans however after that the civilization just disappeared. Two tired & hungry souls on a bad route that was taking them nowhere! The route got worse with every turn but we had no option – there was no space on the narrow road to even take a U – turn. 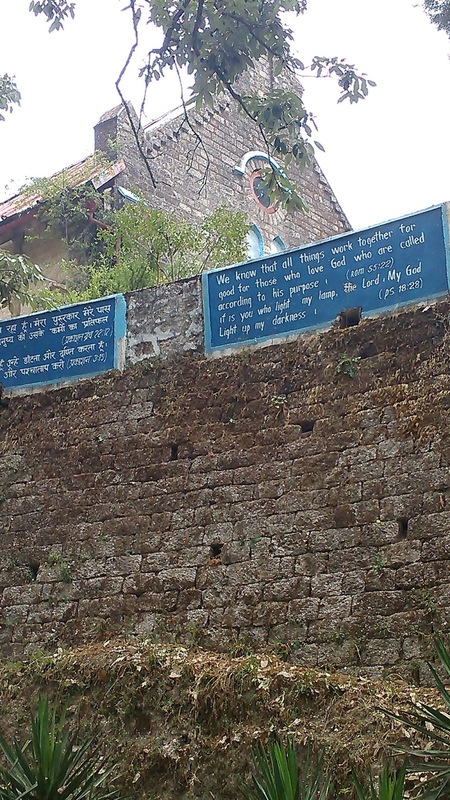 Finally after 3 km of that torturous terrain, he sign board read “Jungle Resort retreat Anand”. 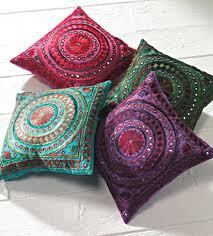 I wished for decent accommodation & clean loos as there was no way back now. Seems God heard me. 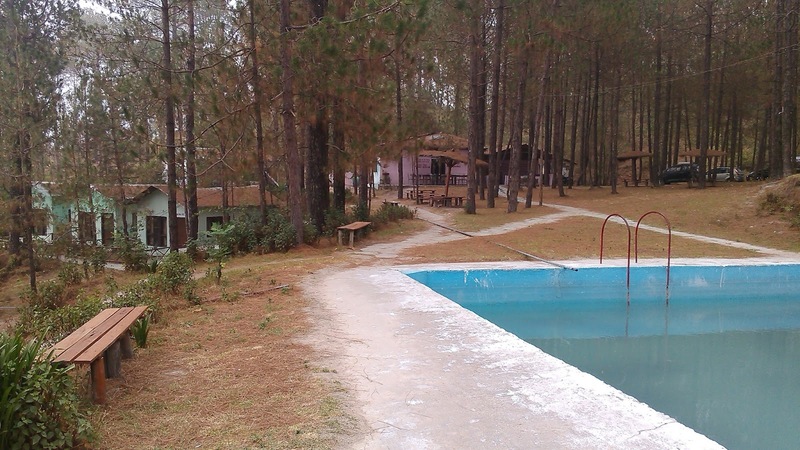 The resort was full of Pine trees (just like they used to show in the 90s movie songs) & had numerous cottages & a swimming pool. It was still hot so when I asked the staff why aren’t there any AC’s in the cottages, he smiled & said “spend few hours here & you won’t miss the AC. We decided to head to the pool to beat the heat. However, the pool had been occupied by numerous noisy kids & their parents. Belly dance of the pot bellied father to the shrieks of the bachha party – I hadn’t expected this after a tiring journey! But that’s hospitality – guest expectations exceeded, though on the wrong side! With kids occupying pool, there was nothing much to do. So I just lazed around the remaining day on the Hammock, while Mr. Hubby was glued to his Trip Advisor app to plan for the next day.